AQURON PAVESET is an acrylic concrete sealer designed for sealing surface and stabilising joint sand of concrete pavers. 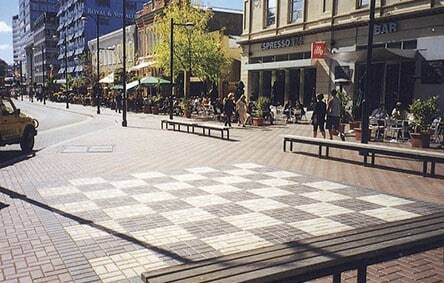 This covers the surface with a thin, durable coating that protects pavers and stabilisers the joint sand. AQURON ENVIRONMENTAL PAVESET improves and protects the surface from staining of petroleum and oil, as well as acid, and providing resistance to freeze/thaw and surface abrasion. AQURON ENVIRONMENTAL PAVESET stabilises and bonds joint sand to the pavers, which prevents rain, vehicle and jet blast (on airport taxiways) from erosion of paver joints and also eliminates unwanted weeds. It locks the joints tightly together and secures the sand, leaving you with a flexible pavement. with a low-sheen appearance that highlights the paving's natural colouring, designed for all foot and vehicle traffic paving installations. AQURON ENVIRONMENTAL PAVESET with a low-sheen appearance that highlights the paving's natural colouring, designed for all foot and vehicle traffic paving installations. 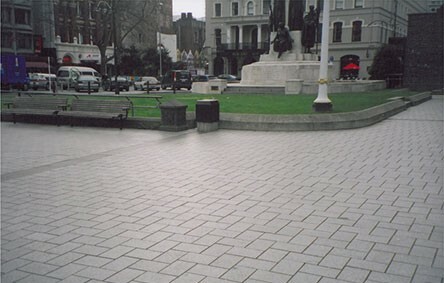 AQURON PAVESET has been proven on millions of pavers, with some treated pavements not being resealed for over 10 years.